November News! 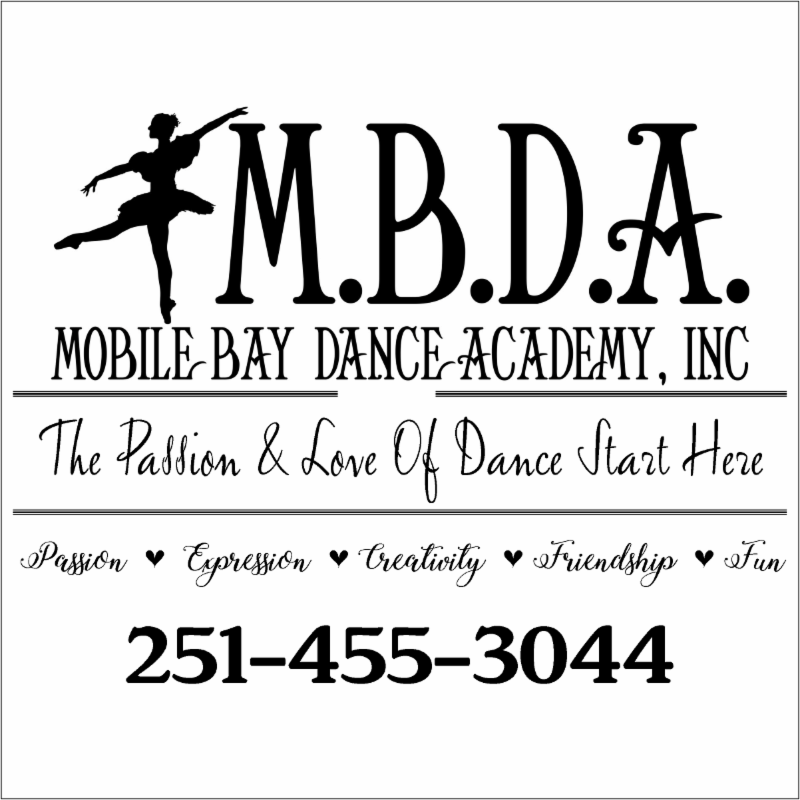 November Tuition is Due! Costume Fees Are Due! Hi Everyone! 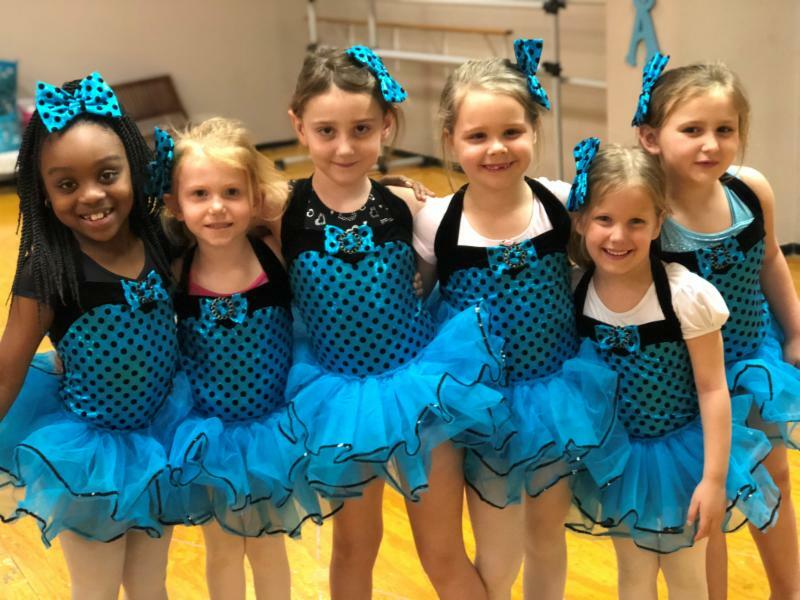 We are having the best time teaching all of your sweet dancers! Here is what is going on in November & December. Costume Fees ARE DUE IMMEDIATELY! October Tuition is PAST DUE! November Tuition is DUE NOW! December 1, 2018- 9:00 a.m. Located on State Highway 181, Exit 38 off Interstate 10 in Spanish Fort! 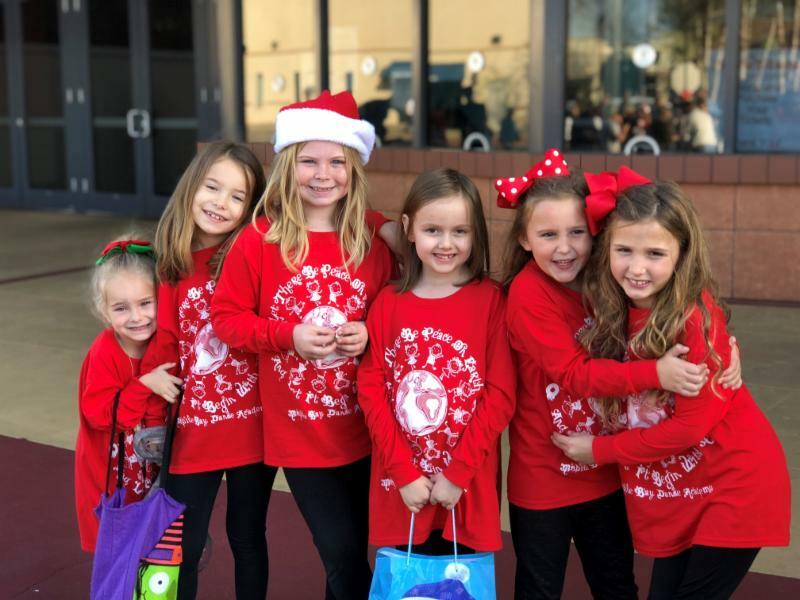 If your child plans on attending the Eastern Shore “Spirit of Christmas” Parade, they will be required to wear a long sleeve Mobile Bay Dance Academy Christmas t-shirt. Your child will also need black leggings! We will meet in front of the Premiere Cinema Movie Theater at 8:30 a.m. Your child will need peppermint candy to throw. ﻿All children of all ages are invited to participate, even our tiniest dancers. If you have a little one walking, we do ask you to walk with them! If you did not order a shirt for yourself, you can wear Christmas colors if you prefer. We LOVE LOVE LOVE doing this little Christmas Parade every year, it is a lot of fun! 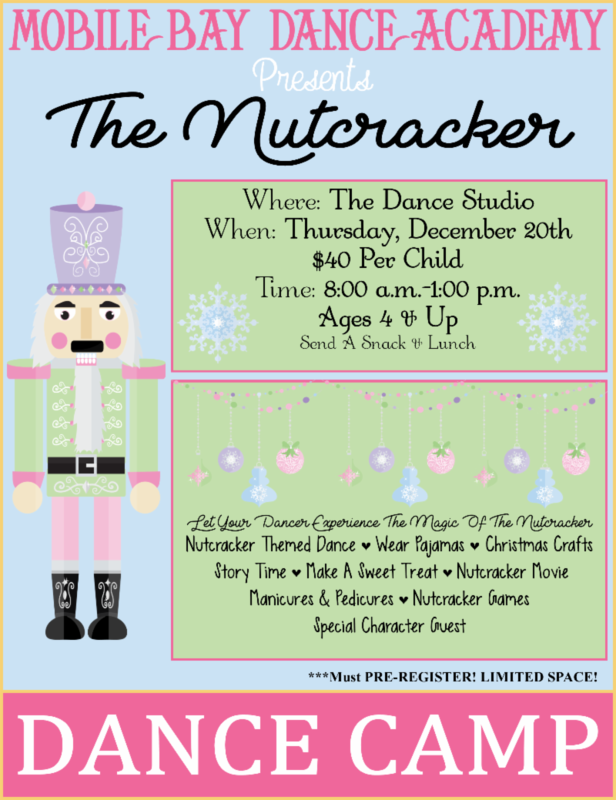 Click Here To Register For 2018 Nutcracker Camp! Tuition is due the 1st class of each month, late after the 10th! You can pay online each month, or send a check to PO BOX 8141, Mobile, AL 36689. For your convenience we have added semester and yearly payment option as well. Tuition does not include a recital costume. You will not receive a monthly invoice. After the 10th, a $15 late fee per month will be applied. Please make sure you pay on time each month to avoid late fees. Just a reminder, your child's costume will cost $75 and is due by December 1st. There is a $25 late fee after November 15th. Costume checks must be written separately from tuition and must be paid by check, money order or cash. There is NO PayPal option for costumes. There are no costume refunds, if you decide to withdraw your child from our program, YOU ACKNOWLEDGE THAT YOU WILL FORFEIT THEM.